Framed and Ready to Go! 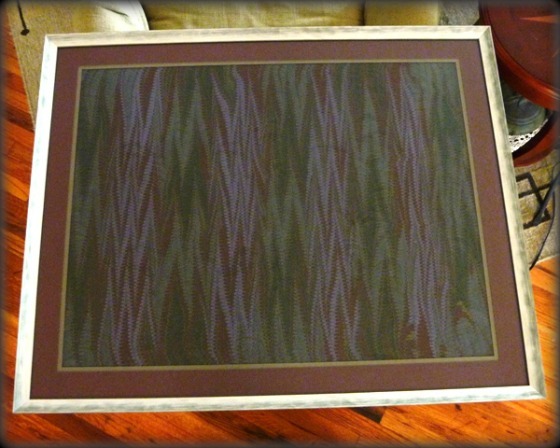 Three custom frames, six standard frames, and five stretched canvas pieces. That's what I'll be bringing to Peach Tree Gallery on Monday for the professional installer to mount on the wall. Not all pieces will be hanged. I just wanted to give the Gallery some options to put together the most appealing display of my work. 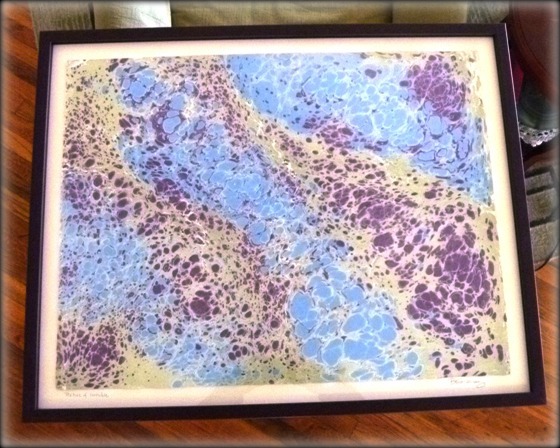 I'm really, really, really excited about the custom-framed pieces. 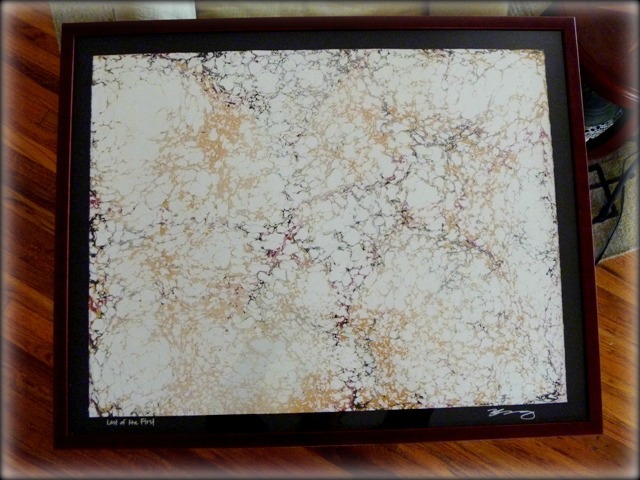 I've always wanted to see one of my full-size marbled papers (clocking in at 20-in. by 25-in.) framed and now I have THREE of them. They turned out AMAZING. 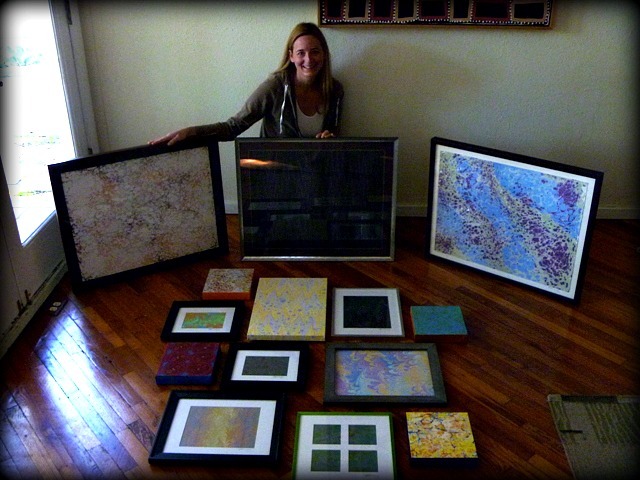 All of them have different frames specifically picked out to coordinate with the piece. I could have just gone "gallery frames" but these pieces deserved their own individual look. I call this one, "Last of the First." It is a traditional pattern called Italian Hair Vein. This one is called, "Texture of Invisible" and is a traditional Stone pattern. And this one is "Silver-Cloud Soul." It's an Overmarble where the background pattern is Icarus and the top pattern is a Nonpareil. Please excuse the photography...it's not my specialty and you can only do so much with a cheapo point-and-shoot. Better yet, come see them in person at the show THIS WEEKEND! Peach Tree Pottery Gallery Holiday Show December 3 and 4 12 p.m. to 5 p.m. I'll post more close-ups of my framed pieces and hand-bound journals throughout the week, so stay tuned!